Submitted by Rhamnetin on 2019-01-21 13:11. - Put the supplied 'override' folder into your Documents\Neverwinter Nights directory, merging with the override folder that is already in there. - Back up the 'dialog.tlk' file in your Neverwinter Nights\data directory (e.g. C:\Program Files (x86)\Steam\steamapps\common\Neverwinter Nights OR C:\Program Files (x86)\GalaxyClient\Games\Neverwinter Nights). - Put the supplied 'dialog.tlk' file into your Neverwinter Nights\data directory, overwriting the one that is in there. - 8164 from "Polymorph, Giant Spider" to "Polymorph, Dire Spider"
- 8167 from "Polymorph, Fey" to "Polymorph, Pixie"
- 8168 from "Polymorph, Zombie" to "Polymorph, Flesh Golem"
- 8172 from "Shapechange, Death Slaad" to "Shapechange, Black Slaad"
- 13527 from "Polymorph Giant Spider Properties" to "Polymorph Dire Spider Properties"
- 13531 from "Polymorph Zombie Properties" to "Polymorph Flesh Golem Properties"
- Added the last two entries for the Mass Drown spell name/description. - Built for NWN Enhanced Edition, but I suspect it'll work with 1.69 however this is untested. - This mod will not work in any module that uses its own custom versions of the files edited. This mod doesn't work in Darkness over Daggerford for example, unless you edit the appropriate .hak file and edit its polymorph.2da to incorporate the changes from the one included with this mod (which is really easy to do). This mod is an addon for Druid/Shifter builds, adding one extra Shifter form (Duergar Cleric - Humanoid Shape) and one extra Druid/Shifter form (Ancient Black Dragon - Dragon Shape), while replacing other forms: Large Dire Tiger has been replaced with Beholder (Greater Wildshape IV, and as a bonus the race has been fixed), Vampire has been replaced with Ghoul King (Undead Shape). 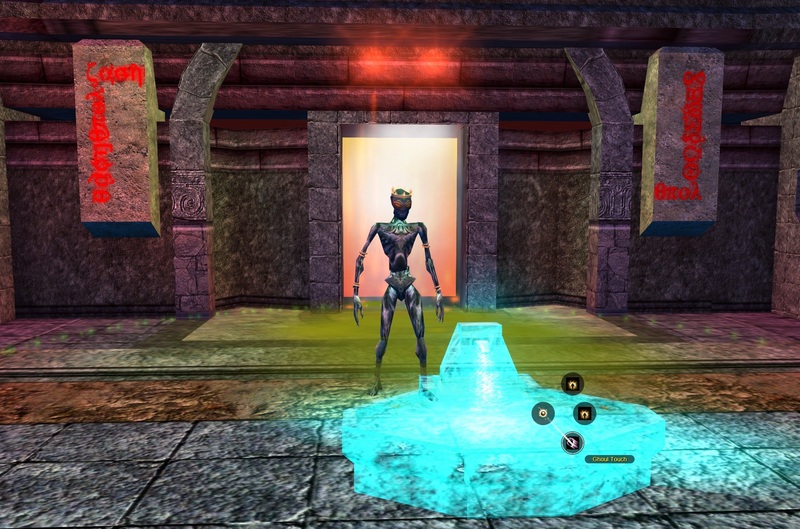 Changes have also been made to Shapechange and Polymorph Self spells, beyond every form having appropriate abilities. For the former, Death Slaad has been replaced with Black Slaad, and for the latter Giant Spider has been replaced with Dire Spider and Zombie has been replaced with Flesh Golem. It also fixes the Shapechange and Polymorph Self spells, giving the polymorphed creatures the abilities they are supposed to. Furthermore, this mod gives additional lore friendly abilities to various polymorph forms, and also a few lore unfriendly but logical ones to all of the elemental shapes. 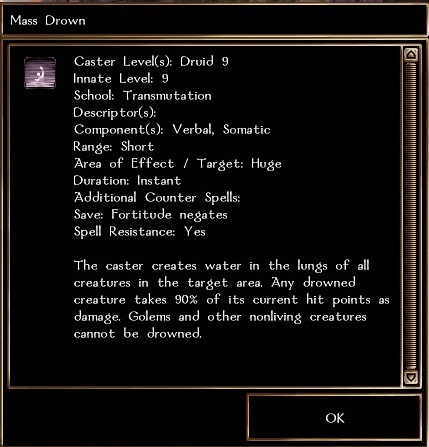 As a bonus, I have also added the Mass Drown spell, which was introduced by NWN 2 and was never in NWN. I tried adding Ancient White Dragon to Dragon Shape, but a bug prevents me from adding a 5th dragon shape for some reason. So this is incomplete and not implemented. 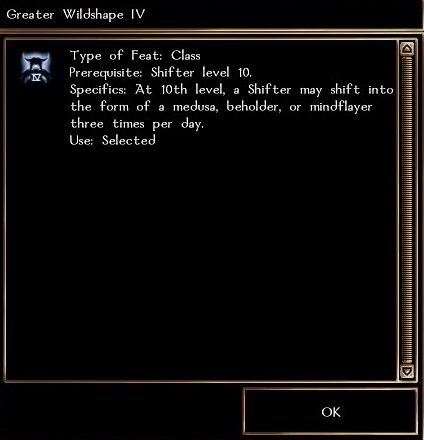 - Replaced Psionic Charm Monster with Extract Brain for Mindflayer form (Greater Wildshape IV). - Gave Extract Brain the spell icon from Clarity spell. - Replaced one of Spectre's two natural weapons with the one actually used by Spectres which causes level drain (-2 levels). - Upped Shadow Attack (the spell-like ability used by Spectre form) so that it is akin to Enervation (drains 1d4 levels). This is still doubled on a critical hit. - Replaced Zombie form with Flesh Golem, which has the Rage ability. - Replaced Giant Spider with Dire Spider and gave it the Web spell. I find these two replacements to be more balanced next to the likes of Umber Hulk and Troll. - Increased HP bonus of Troll form from +10 to +30. - Added two new forms: Duergar Cleric (part of Humanoid Shape) and Ancient Black Dragon (part of Dragon Shape). This required editing polymorph.2da, spells.2da, x2_s2_gwildshp.nss and thus x2_s2_gwildshp.ncs. - Added Mass Drown spell, which is a level 9 Druid spell that works like Drown but with a "Huge" radius. It still belongs to Transmutation school, unlike in NWN 2. 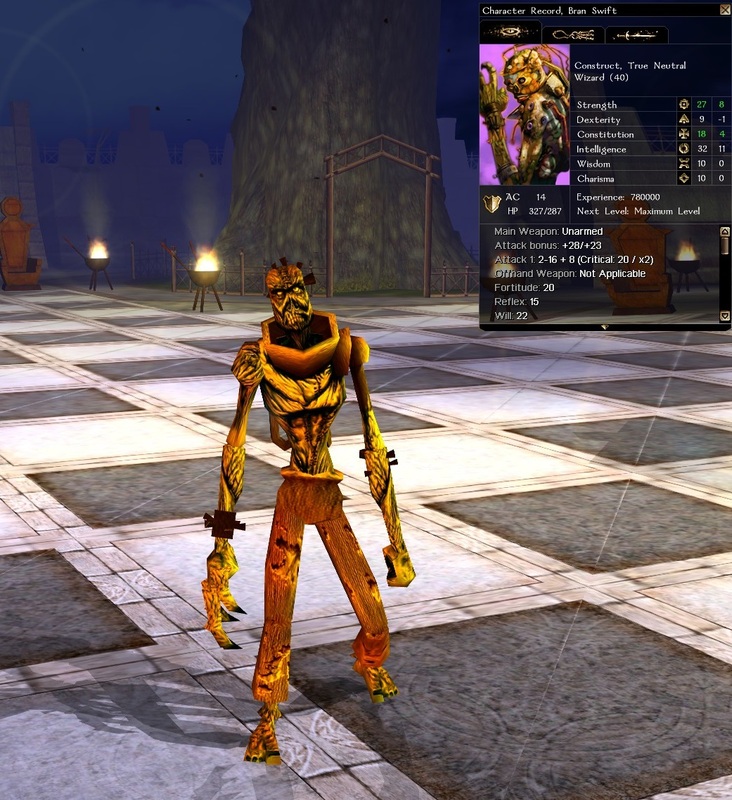 - General rebalancing, bringing creature stats (ability scores, AC, HP bonus) from polymorph/shifter forms closer to what they are in D&D's monster manual, plus some changes to better balance them to Neverwinter Nights. 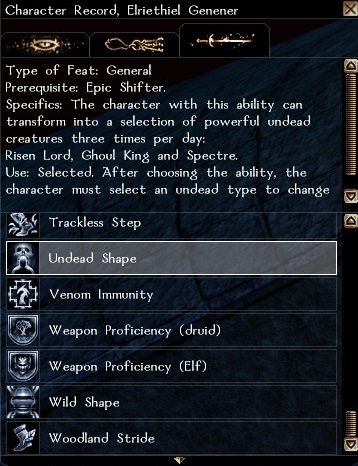 - Epic Drow form now has Darkness spell ability just like regular Drow form. 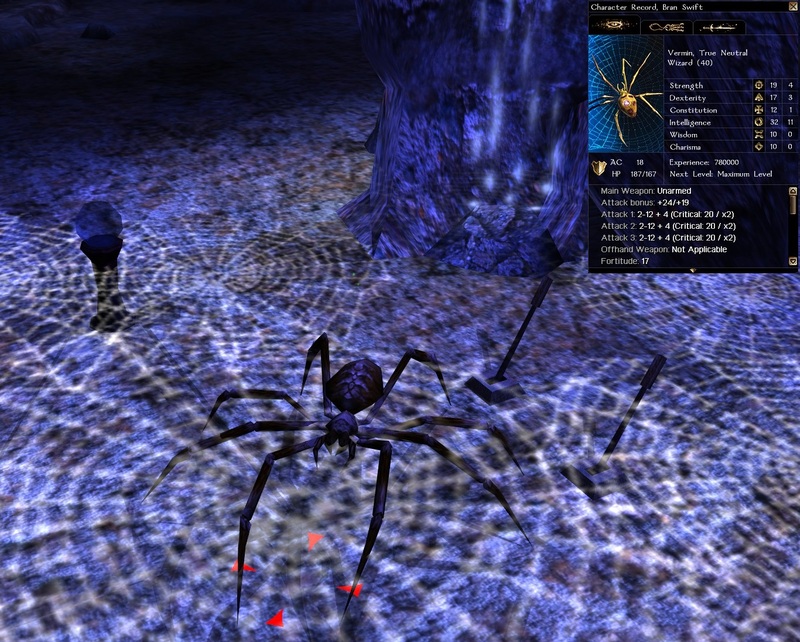 - Epic Drider form now has Web spell ability. - Made sure ring/amulet slots etc don't affect any of the animal forms, but do affect all humanoids with human-like fingers and necks and such. - Death Slaad form has been replaced with Black Slaad, since Death Slaad is a bit underpowered compared to Iron Golems and Balors and Red Dragons. 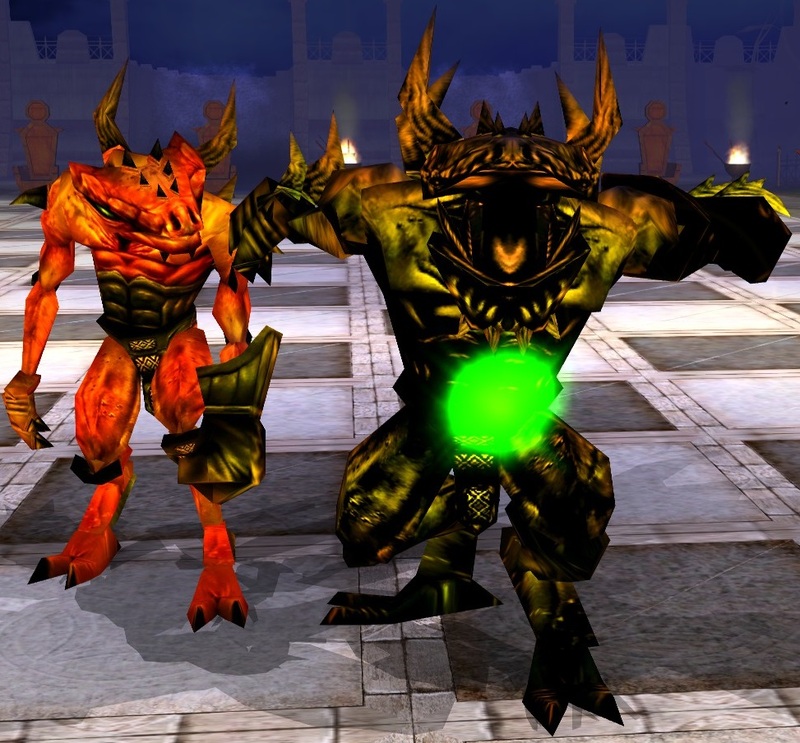 - Black Slaad has the following spells/spell-like abilities: Chaos Spittle, Summon Slaad, and Finger of Death. - It should've inherited the racial abilities of Black Slaad, which means 20 damage resistance to all elemental forms, damage reduction 45/+7, and regeneration +10. - Let me know if you think this is too overpowered and I'll bring it down to White Slaad instead. 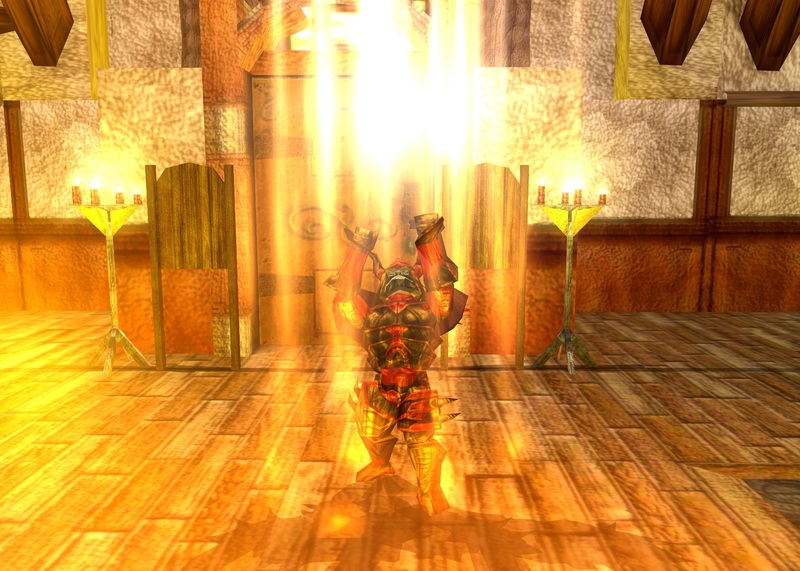 - Fire Giant now has a greatsword (Tenser's Sword which deals fire damage). - Gave Red Dragon form the fire breath ability, same as the Shifter ability and what Red Dragons actually breathe in the game. - Gave Balor form the following spells: Summon Tanar'ri, Greater Dispelling, and Fear, all of which Balors are supposed to have and other ones do have it in the game. - Gave Iron Golem form the poison gas ability that other Iron Golems (including the Shifter form) actually have in the game. - Gave Death Slaad the following spells/spell like abilities: Chaos Spittle (as per the Shifter one), Summon Slaad, and Fear, all of which other Death Slaads have in the game. - Umber Hulk now has Confusion Gaze. - Removed the useless Large Dire Tiger form, and replaced it with Beholder form which has the following abilities listed below. Why is Large Dire Tiger useless, you ask? It's on the same level as Dire Bear, a standard Druid form. It does not belong in Greater Wildshape IV, above the likes of Humanoid Shape. - Beholder Antimagic Cone = A cone ability that causes all enemies in the area of effect to be stripped of all magical effects and are subject to 100% spell failure for 9 seconds (1.5 rounds). - Eye Ray - Wounding = Just the Wounding Eye Ray. If the target fails its fortitude saving throw, it takes 2d8+10 points of magical damage. - Gave Mindflayer form the Psionic Charm Monster cone ability (DC 17). - Replaced Vampire Form with Ghoul King form. The reason I chose to do this is because I don't like that Vampire form is not a true vampire; if you are struck down with normal weapons, you're just dead. Nonsense! You should be in a coffin somewhere in the dark and the only way to kill you is by sticking a wooden stake through your heart. Since that's not included with Vampire Form, I replaced it. - Ghoul King has the same abilities as the Ghoul King NPC: all the standard undead immunities, two of three natural attacks have On Hit: Ghoul Rot property (DC 18), while the third natural attack has On Hit: Stun property (no idea what the DC is). - It also has Aura of Unnatural, Tyrant Fog Zombie Mist, and Ghoul Touch spells. - It has 18 STR, 15 CON, doesn't affect your DEX, 13 natural AC bonus (same as the default Risen Lord for reference), and 30 bonus hit points. - Raised Risen Lord natural AC bonus from 13 to 15. - Spectre form now has Aura of Unnatural spell. - Replaced Mestil's Acid Breath and Ice Storm spells with Acid Fog and Fireball, for Rakshasa form. - Gave Death Slaad Lord the following spells: Summon Slaad and Fear. - All forms now have the correct sound effects, though you'll still hear your character's sounds over them for whatever reason. - Made Petrification Gaze (Basilisk and Medusa forms) usable unlimited times per day, mirroring that of actual Basilisks and Medusae throughout the game. 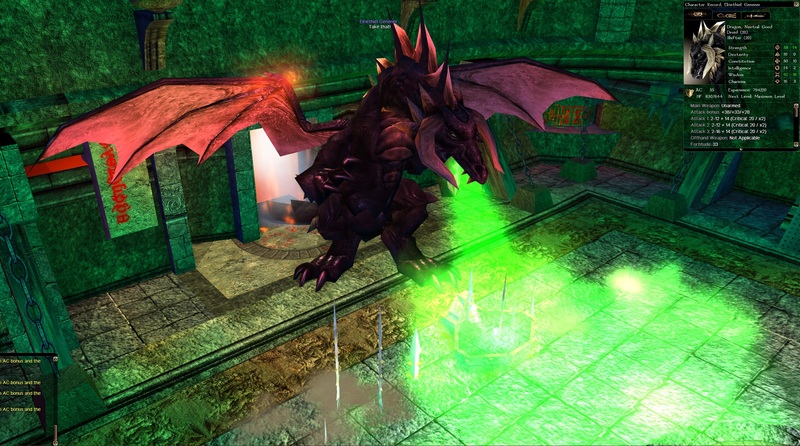 - Dominate Monster spell (innate level 9) is now also available for Druids. Not sure why it's arcane only.